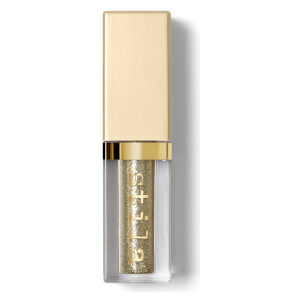 Enhance your eyes with the Stila Iridescent Glitter & Glow Duo Chrome Liquid Eyeshadow Set, a trio of long-wearing, metallic eyeshadows with a glittering finish. 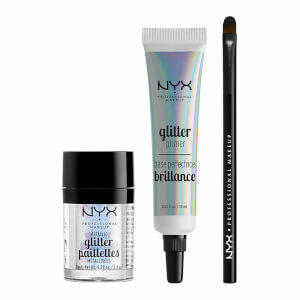 Combining varying sizes of pearl and glitter particles for a beautiful lustre, the lightweight liquid eyeshadows are water-infused and glide effortlessly across the lid; delivering a rich, sparkling hue that dries smooth with minimal fallout. 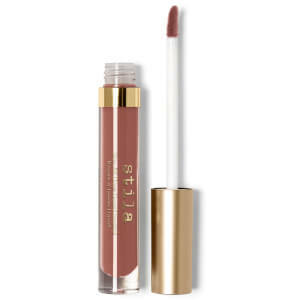 Expect glimmering makeup looks with long-lasting wear. Easy-to-use, integrated applicator. 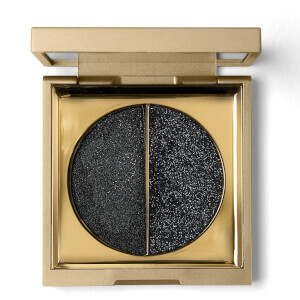 Can be worn alone or layered over powder eyeshadows. Dollish: Water/Aqua/Eau, Calcium Titanium Borosilicate, Calcium Aluminum Borosilicate, Glycerin, Mica (Ci 77019), Silica, Hydroxyethyl Acrylate/Sodium Acryloyldimethyl Taurate Copolymer, Caprylyl Glycol, Squalane, Phenoxyethanol, Triethanolamine, Hexylene Glycol, Carbomer, Tin Oxide, Polysorbate 60, Sorbitan Isostearate, Alumina. (+/-) Titanium Dioxide (Ci 77891), Iron Oxides (Ci 77491), Carmine (Ci 75470). <Iln C181013> *Contains Carmine as a colour additive. / Contient Du Carmin Comme Additif De Couleur. Stylish: Water/Aqua/Eau, Calcium Sodium Borosilicate, Polyethylene Terephthalate, Glycerin, Synthetic Fluorphlogopite, Hydroxyethyl Acrylate/Sodium Acryloyldimethyl Taurate Copolymer, Mica (Ci 77019), Caprylyl Glycol, Squalane, Phenoxyethanol, Polyurethane-11, Triethanolamine, Hexylene Glycol, Carbomer, Polysorbate 60, Tin Oxide, Sorbitan Isostearate. (+/-) Titanium Dioxide (Ci 77891), Iron Oxides (Ci 77491), Yellow 5 Lake (Ci 19140:1), Red 40 (Ci 16035), Aluminum Powder (Ci 77000), Carmine (Ci 75470). <Iln C171097> *Contains Carmine as a colour additive. / Contient Du Carmin Comme Additif De Couleur. Embellish: Water/Aqua/Eau, Synthetic Fluorphlogopite, Calcium Sodium Borosilicate, Glycerin, Silica, Hydroxyethyl Acrylate/Sodium Acryloyldimethyl Taurate Copolymer, Caprylyl Glycol, Squalane, Phenoxyethanol, Triethanolamine, Carbomer, Polysorbate 60, Tin Oxide, Hexylene Glycol, Sorbitan Isostearate. (+/-) Titanium Dioxide (Ci 77891), Iron Oxides (Ci 77491). <Iln C171098>.